This promotion is now over. Please contact us for other offers, and check back next winter for lift-ticket incentives. Let us introduce you to the Frias difference: a vacation rental experience that far exceeds a rent-by-owner stay. As an incentive to try our accommodations, we are offering a free lift ticket for reservations of four nights or more. 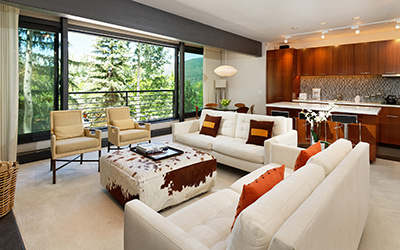 Celebrating 45 years serving Aspen's guests, Frias Properties offers the largest selection of centrally located vacation rentals with more than 200 options ranging from budget-friendly condos and the downtown Independence Square Hotel to slopeside townhomes and luxury resort residences. 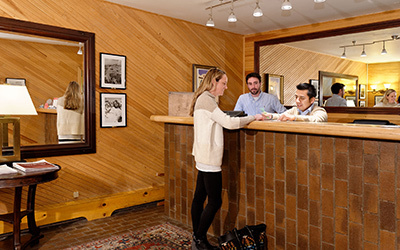 All guests receive complimentary services and amenities, including Aspen airport transportation, health club passes, concierge services, and more. This promotion is not available online. To book, call (970) 920-2010 or fill out a brief form. Reserve accommodations in any of our centrally located vacation rentals. No blackout dates. 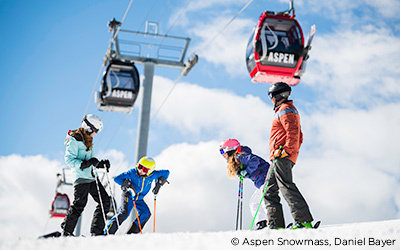 Lift ticket is valid at all 4 Aspen Snowmass mountains and is delivered upon check-in. We offer concierge services, and we can arrange for additional days of skiing at a discount! Valid for stays between Nov. 22, 2018 and April 21, 2019 (no blackout dates). Reservations must be booked directly with Frias Properties of Aspen at least seven days in advance of arrival. Standard minimum-night-stay restrictions supersede the four-night minimum. This promotion may not be combined with other promotions and is valid for new reservations only. Supplies are limited, and this promotion will be ended once they are depleted. Frias Properties of Aspen is not responsible for lost or stolen tickets once they are delivered to guest.